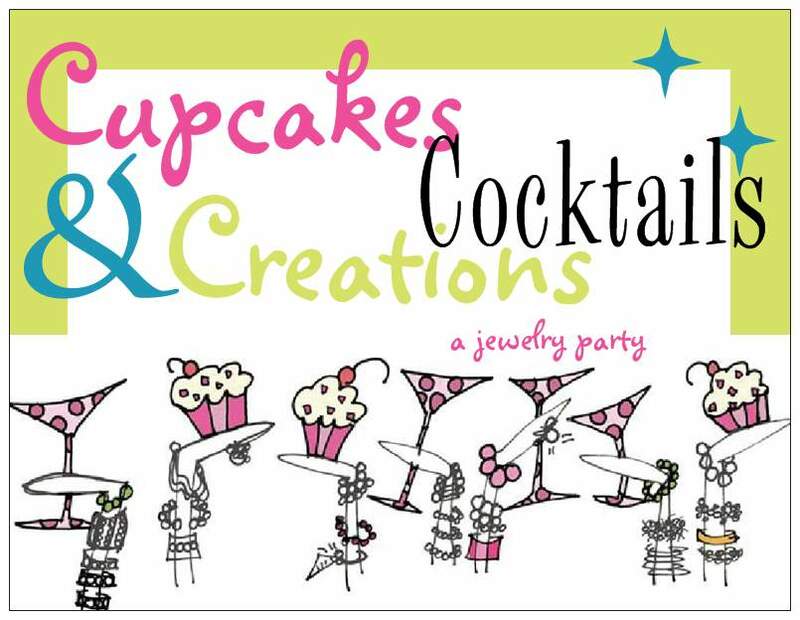 Bead Up -- the journey of handmade jewelry: Party Time and Giveaway Winner! Party Time and Giveaway Winner! Flavors will be according to their wrapper (or lack thereof) - 4 kids and lots of toppings from which to choose! My mom painted this while she was in town - it will go in front of the house with balloons! Love my gift wrapping a' la Chinese to-go boxes! Thanks to the hubby for putting them all together! The craft room is a mess. ... the house smells like cupcakes! So here's to another great party! Hopefully I will be able to blog about it shortly after it happens - I start my new job as a hospital chaplain on Monday and have no clue what "free time" will look like thereafter! Also, thanks to everyone who entered my 2nd Etsy Anniversary giveaway! The post generated my highest turnout yet - over 160 entries! 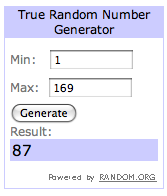 After using Random Number Generator, the winner is #87 - Sherry! Congrats Sherry and thanks to everyone who entered and shared your thoughts on my shop - they are much appreciated! It's all becoming more clear ... this craftiness you have ... your mom shared some of hers with you! 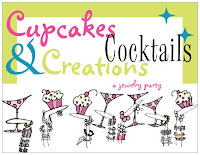 Have a great weekend and a very successful party! Everything looks great, I'm sure everyone's going to have a blast! Christyn, I am getting in my car NOW and will be at the party in about 12 hours, k??! Don't start without me! Looks like so much fun!! Your craft room looks great mind is a complete disaster...Love your site.. Congrats!! Your place looks amazing!! I love your jewelry displays! 2 years on Etsy = GIVEAWAY! !